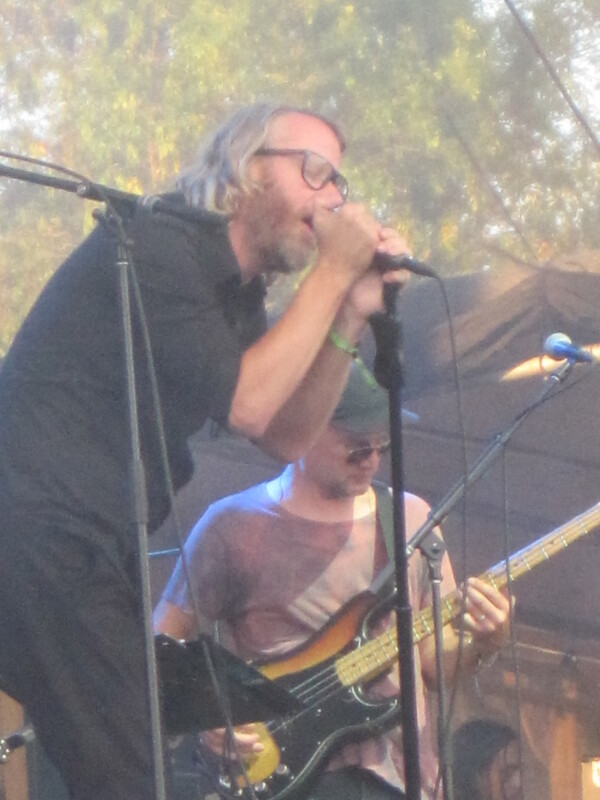 The National’s Matt Berninger performs during a Day of the Dead tribute at Eaux Claires in August 2016. The third installment of Eaux Claires kicks off today with Chance the Rapper, John Prine, Sylvan Esso and others. Known as “Troix,” Justin Vernon’s and Aaron Dessner’s annual two-day music festival in Eau Claires, Wis. returns with more chances to see the entire lineup. Situated along the Chippewa River, the festival boats some of the most talented emerging music artists in the indie rock world as well as several legendary acts. Throughout today’s lineup, festival goers will see several Wilco side projects, including The Autumn Defense, Tweedy, Cup and S. Carey and Glenn Kotche. They also will see Vernon and Bon Iver pay tribute to Prine as part of The American Songbook. For electronic and chamber music fans, a collaboration called Music for The Long Emergency will premiere today at the festival. It’s the product of a yearlong virtual residency between Minneapolis electronic and drum-and-bass quartet Poliça and European-based chamber ensemble, s-t-a-r-g-a-z-e, led by conductor André de Ridder. Finally, Artists-In-Residence will collaborate with featured performers throughout the festival. Many Artists-In-Residence include past performers from the first two Eaux Claires festivals – Jenny Lewis, The Staves, Phil Cook and others.